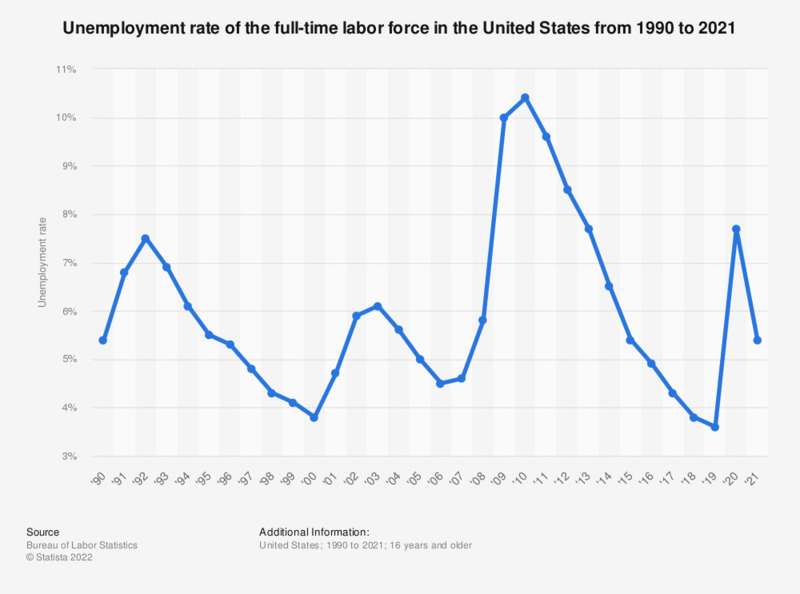 This statistic shows the unemployment rate of the full-time labor force in the United States since 1990. Unemployment among full-time workers stood at 3.8 percent in 2018. See the United States unemployment rate for further information.